Hi friends, I am sharing Microsoft consultant interview questions and my placement experience. Microsoft visited our campus for Job Profile- IGD Consultant. You should be Fluent in English oral and written as well. Strong interest in Microsoft Technologies (.net, Azure,) is required. You should have a deep understanding of markets, customers, and related technology. This job is a part of Microsoft MACH (Microsoft Academy of Campus Hires) career recruitment program. Candidate should be having 7.00 or above CGPA. There should be no Backlogs and not even year gap in education. This section contains Technical and logical reasoning questions. Technical questions are mostly output based and are bit tricky. There are 40 minutes allocated to solve all these questions. It is a coding round where you will be given two Coding questions. Difficulty level for solving these coding questions are from easy to average. You have 25 minutes to complete these two coding tasks. This is about Essay writing. You have to write an essay on a given topic with 150 to 180 words in it. You have 15 minutes to write an essay. It is always plus points if you have good vocabulary and understanding of English grammar. There are 3 rounds of Interviews. Although, it is said managerial and HR, technical questions are asked there mostly. Technical questions include in-depth questions relating to projects mentioned in the resume. Object-Oriented Programming Concepts (OOPs)– Questions on this topic are asked in many interviews. And there are few standard HR questions in between (like your background, education, strengths, etc). For the problem-solving part, it’s worth mentioning that they are not in search of the exact answer. They like to see the thought process of the candidate, such as… how many valid ways he/she can think to solve the problem… how the solution can be optimized…. The interviewers were quite polite and understanding. But, some panelists were a bit tough too. It completely depends on what kind of interviewer one gets. How to prepare for Microsoft consultant interview questions? Try to be speedy with logical and coding/technical questions for the online test. For the interviews, keep yourself calm and be patient. It’s a fairly long process. Be absolutely clear with your CS fundamentals, and whatever you mention on your CV. If you are fresher candidate applying for a job, follow 7 CV Format Tips for Freshers. With these tips, you can grab Interviewer Attention. CSEStack is a beautifully designed website. 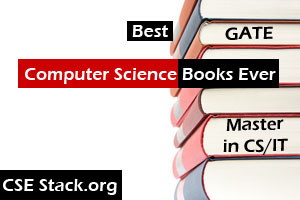 Any person passionate about Computer Science can get loads of benefits from it. I personally got real help by reading the interview experiences posted by other authors here. I really thank the CSEStack. You can also read Microsoft interview questions shared by other candidates. If you are finding it difficult to get a suitable job, follow these 7 Steps of Effective Job Search Techniques [Guidelines with Checklist]. These Microsoft consultant interview questions and experience are shared by the anonymous candidate. I am a greatly thankful candidate for sharing his/her own experience and interview questions. I am sure it will help many new job aspirants. We wish him/her all the very best for future.